Is there anything more alarming, more distressing than to be told that you or someone you love has cancer? Fortunately, through modern technology, treatment has added a few months or years to the life of those diagnosed with this dreaded disease. Yet, sooner or later, many will succumb to this fearful mysterious ailment in which the body actually fights against itself by altering healthy cells; thereby tricking the immune system to ignore these transmuted cells as though they were a natural part of the body. Spiritually, our heart and mind often operate the same way when we react to sin in our lives. Though the symptoms of the wrong we do are clearly manifested by the grievous consequences in our life and in the lives of those we’ve wronged through lying, stealing, gossiping, adultery, dishonesty and any number of transgressions; we often do our best (or worst) to deny what we’ve done or try to minimize the harm it has caused. Or, if we to some degree or another acknowledge that we were wrong, did wrong; we latch onto a moral set of principles or a religious set of rules that sometimes can soothe our conscience and give us a false sense of security. Only to time and time again do exactly what we didn’t want to do, or not do precisely what we knew was right to do. Confusing? Inexplicable? Exasperating? Distressing? Sadly, yes and more. Likewise, despite the best defense we can muster against greed, selfishness, pride, and a host of other devastating and demoralizing spiritual ailments, the outcome is virtually inevitable: Sin wins, we lose. For decades, the very best of our scientists, biologists, and doctors have fought a brave and competent war against terminal diseases. Billions of dollars have been spent on research, technology, drugs, and various medical cures; yet cancer and a host of other illnesses continue to ravage the human race. But, what if you signed on to the Internet one morning or picked up your local newspaper. On the Front page of both news sources you read the incredible headlines: “WE HAVE IT! A PROVEN VACCINE TO PREVENT & CURE ALL CANCERS! Upon further reading you discover that this vaccine is totally free and abundantly available to the whole world. That one dose is all-sufficient to eradicate cancer. (A) Insist on paying for the vaccine? If so, how much? To answer that question, wouldn’t you need to come up with a dollar value for your life or the life of a loved one? (B) Tell yourself and others that, “it’s too good to be true. I don’t believe it.” And keep saying this five, then ten years later (if you live that long) in spite of overwhelming evidence that thousands and thousands of people have been set free from cancer. (D) Or would you, with heartfelt gratitude that someone else could and would do all this for you, gladly accept this gracious gift? With an open mind receive the vaccine dose and immediately realize that you had been cured and would be protected against the inevitable death sentence imposed by this awful disease? To Work for or to Rest in God’s Grace? Our analogy is easy to grasp: Sin is cancer of the heart, soul, and mind. And, the only cure is God’s Grace given through His matchless Son’s death on the Cross and resurrection from the dead; administered by the Holy Spirit by believing and receiving this free pardon from the deserved penalty of sin, by substituting eternal separation from God with everlasting life in heaven. A COMPLETE CURE, with no booster shots needed! From three gracious and enormously wealthy benefactors: God the Father, Son, and Holy Spirit. Listen to these life-giving words of God through the Apostle Paul: “But God is so rich in mercy, and he loved us so much, that even though we were dead because of our sins, he gave us life when he raised Christ from the dead. 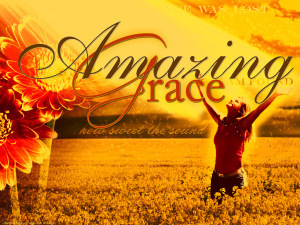 (It is only by God’s grace that you have been saved!) … So God can point to us in all future ages as examples of the incredible wealth of his grace and kindness toward us, as shown in all he has done for us who are united with Christ Jesus. God saved you by his grace when you believed. And you can’t take credit for this; it is a gift from God” (Ephesians 2:4-5, 7-8). If you chose options A, B, or C, what do you think your family and friends might say? Something like, “How can you be so foolish,” Or even stronger language; “You fool.” Or if you made the obviously right choice (D), but then decided that (despite all evidence to the contrary) the vaccination alone wasn’t enough to keep you cured. So you begin to take all sorts of daily supplements—many of which produced debilitating side effects—just in case…. Which, as alluded to in last week’s article, is exactly why the Apostle Paul told the Galatian Christians, “How foolish can you be? After starting your Christian lives in the Spirit, why are you now trying to become perfect by your own human effort” (Galatians 3:3). Then for those (unbelievers) who couldn’t and wouldn’t accept the awesome remedy—God’s free gift of Grace exhibited in and given through His Son, Jesus—for the horrible malady and consequences of sin, Paul says: “But those who depend on the law to make them right with God are under his curse, for the Scriptures say, ‘Cursed is everyone who does not observe and obey all the commands that are written in God’s Book of the Law.’ So it is clear that no one can be made right with God by trying to keep the law. For the Scriptures say, ‘It is through faith that a righteous person has life.’ This way of faith is very different from the way of the law, which says, ‘It is through obeying the law that a person has life.’” (Galatians 3:10-12). Paul also explains, “…The law was our guardian until Christ came; it protected us until we could be made right with God through faith. And now that the way of faith has come, we no longer need the law as our guardian” (Galatians 3:24-25). Guardian here incorporates the idea of complete acknowledgement of and unwavering obedience to everything the guardian says that the one guarded must do. Going back to what Jesus said concerning the law: “I have come to accomplish their purpose.” He’s emphasizing that he came to fulfill the purpose of the law. That purpose is explained in the verses just quoted … guardianship through instruction. Plus, the law was given to show us what sin really is, in all its ugliness, as stated earlier in this chapter. (Verse 19). Absolutely, Jesus fulfilled the law. He did so because God demanded a perfect sacrifice. According to the Levitical sacrificial requirements, only an unblemished healthy animal (the best of the flock) could qualify as an innocent atonement for the people’s sins. Likewise, only the perfect Son of God would qualify as a substitutionary propitiation (a satisfactory appeasement to God) for the wrong things we’ve done, by virtue of his total absence from the disease and effects of sin. Messiah Jesus is the Just for the unjust, the Righteous for the unrighteous, and the Perfect for the imperfect. Make no mistake: Sin is a disease that produces both spiritual and physical symptoms and consequences. Physical death is a certainty and spiritual death (eternal separation from God and heaven) is a given, unless God’s spiritual remedy through Christ is accepted at face value and received as it was meant to be given—freely by the Grace of God. Without adding any man-made supplements (rules and regulations) to this divine prescription! Christ fulfilled the law so we wouldn’t have to, because we couldn’t; either to get saved, or to stay saved, or to earn his favor, or anything else that we try to obtain or attain through our merit, self-worth, good works, or whatever. God knew that we could never, ever in a thousand lifetimes completely keep the law. That’s why the Levitical sacrificial system was given—a preliminary instructional example of the ultimate atonement for sins through Messiah, himself. “So then, since we have a great High Priest who has entered heaven, Jesus the Son of God, let us hold firmly to what we believe. This High Priest of ours understands our weaknesses, for he faced all of the same testings we do, yet he did not sin. So let us come boldly to the throne of our gracious God. 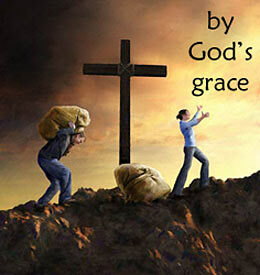 There we will receive his mercy, and we will find grace to help us when we need it most” (Hebrews 4:14-16). Is our obedience better than our sacrifices, as Scripture says? Yes, but only when we understand what obedience truly is. It is understanding that we obey not because we have to, not only because the Law requires it; but because we want to obey. We obey because we love the Lord, and we love him because he first loved us. But we also understand that we disobey … all too often. And then we even better understand why Jesus kept the entire law: to qualify as the absolute, perfect sacrifice for those who could never even come close to keeping (fulfilling) the law. That God’s pardon for sin cannot be earned or merited; instead, it is graciously given as a gift. There is absolutely no condemnation whatsoever for those who are (born-again) in Christ Jesus, including condemnation for failure to keep/obey the law. (Romans 8:1). There’s no judgment, because God judged his Son, Jesus, in our place. Technically, it’s not our sins that will send us to hell; rather it’s rejecting the perfect sacrifice for those sins. That’s crystal clear in Scripture. The legalistic Galatians were giving people the impression that the law (and fulfilling it) was actually more important than God’s grace. In doing so, they were preaching a false gospel. That doesn’t mean the law is invalid. It only means that when you add keeping of the law to salvation through faith in God’s grace, then you have a destructive hybrid that will send someone straight to hell. Millions of people down through the ages have tragically died in their sins because they wouldn’t let go of their system of good works as the means of obtaining a right relationship with God and/or maintaining that relationship until the day they died. The Law served its purpose as a temporary instructor for the Jews, because they were called out by God to be a special people to show God to the nations. When Christ came, he WAS the complete fulfillment of the Law. Today he is alive and well! He IS the living WORD of God (John 1:1). He IS the living LAW of God. God doesn’t measure us by our performance. If he did, no one could possibly “measure up.” He relates to us exclusively through the life, death, and resurrection of his Son; then our faith to believe and receive that free gift which is exactly what the Grace of God and the Age of Grace is all about. Paul also told the Galatians that he, feared for them (Galatians 4:11). Meaning those who were trying to put the fear of God into others for not complying with legalistic rules and conduct, best be afraid for themselves of … as Paul said later, “falling away from God’s grace” (Galatians 5:4). The best thing any of us can possibly do is to say, “Lord, I can’t do this (meaning keep His law); please, you do it through me.” And, yes, that is possible only when we yield to Him, but that yielding is not a matter of keeping rules, whether imposed by the law or by ourselves or by others. By the very fact that we say that we can’t do this on our own, we are yielding to the grace of God that says he will do it through us. That’s the difference between Works and Grace. Works (trying through human effort to keep the law and striving to do well) says, “Thanks anyway, but I’ll do this myself, because it’s up to me to see that it’s done.” Grace says, “I’ve tried, but I can’t do it. Thank you, Lord, for doing it for me, all the way to the Cross. Your grace is sufficient to get me through this day, no matter what happens.” (And that also means if I mess up … disobey). Once more, read what the Holy Spirit through Paul says, “You are trying to earn favor with God by observing certain days or months or seasons or years. I fear for you … I plead with you to live as I do in freedom from these things, for I have become like you Gentiles—free from those laws” (Galatians 4:10-12). What an astounding statement! Paul is telling the legalistic Jews that the law no longer has any hold on him, that he was free from the law just like the Gentiles who made no effort whatsoever to keep the Jewish law in the first place. Thus, the only thing that would/could save the Gentiles and also condemn them if they refused, was believing in and accepting the Grace of God, which is the free gift of salvation. Paul implored the Jews to fully fathom the same thing—redemption was by grace through faith plus absolutely nothing else, as the exclusive way to right standing with God; and, by far, the very best means of living the Christian life. The ceremonial observation of certain (holy) days was just one example of many that Paul could have used. In fact, he also talked about Galatian Jews who had demanded circumcision for the Gentiles in order to be saved or stay saved. In other letters he wrote (such as Romans), Paul talks about eating certain foods and drinking (wine). In other words, he includes all those things that moralizing people impose on themselves and others including the Law of Moses. Paul rebuts that by saying (referring to circumcision as just one example), that if the Galatians are going to insist on circumcision or anything else that they demand obedience to, then they better keep the entire law ALL THE TIME. Listen to these strong words from Paul: “I’ll say it again. If you are trying to find favor with God by being circumcised, you must obey every regulation in the whole law of Moses” (Galatians 5:3). And if they couldn’t (which is obvious), then they should cease and desist from teaching others that they must continue keeping (fulfilling) the law in order to be righteous and stay righteous through their own effort or self-worth. We are not only saved by GRACE, we live by it every day. Faith in Christ’s substitutionary sacrifice (just like Abraham had faith in God’s promise of Isaac, a precursor of the coming Messiah) is the NEW WAY, the new law if you will. In fact, Paul terms it, “the law of Christ.” The Law wasn’t given to the Jews through Moses until hundreds of years after Abraham died. Yet Abraham had been declared righteous (right standing with God) solely because of Abraham’s faith—not rote, ritualistic observance of any system of laws, rules, ordinances or any other man-made ideas of what it takes to please God. That even included the subsequent Law of Moses which clearly showed right from wrong. But which could not—because of everyone’s inability to consistently keep the law—save anyone from the power and penalty of sin. That’s why the Bible frequently tells us that trust in the Lord is the one, essential way of pleasing God. Trusting the Lord IS obedience. Because it comes from the heart, not from an external, superficial sense of obligation to keep the law as a means to obtain God’s favor. Of course, obedience is important; but because we, in fact, disobey, then how much obedience is necessary (in light of our frequent disobedience) in order to please God? Do you know how much, does anyone? But even a little faith (trusting the Lord) as small as a mustard seed can move mountains … obviously meaning that God will honor that faith and do great things for/through us. Those who doubted or even disbelieved that Christ was the Son of God, but also some who were sincerely seeking to know if Jesus was the Messiah asked this question of Jesus: “We want to perform God’s works, too. What should we do?” (John 6:28). Jesus’s reply was both simple and profound: “This is the only work God wants from you: Believe in the one he has sent” (Verse 29, italics for emphasis). Years later, the Apostle John restated Jesus’s words: “And this is his (God’s) commandment: We must believe in the name of his Son, Jesus Christ, and love one another, just as he commanded us” (I John 4:23). Later, during one of the many times when the religious Pharisees tried to trap Jesus into saying or doing something that would violate the (their interpretation thereof) Law of Moses, Jesus was asked what was the most important commandment in the Law of Moses. 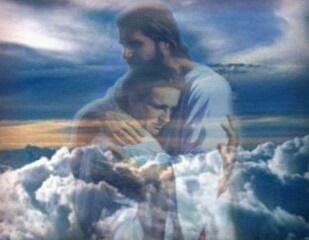 “Jesus replied, ‘You must love the Lord your God with all your heart, all your soul, and all your mind. This is the first and greatest commandment. A second is equally important: Love your neighbor as yourself. The entire law and all the demands of the prophets are based on these two commandments” (Matthew 22:37-40, italics for emphasis). Jesus wants us to stop working so hard for something that has already been freely offered to us … God’s grace poured out through Messiah’s redemptive ransom on the Cross. We’ve already earned more than we ever bargained for. We’ve earned death itself. “For the wages of sin is death…” (Romans 6:23a). Do your good deed for today (and every day). “And what might that be,” you ask? Answer: Simply take God at his word and understand that: Good deeds are a Result of salvation, not a Requirement for salvation. “…But the free gift of God is eternal life through Christ Jesus our Lord” (Romans 6:23b).